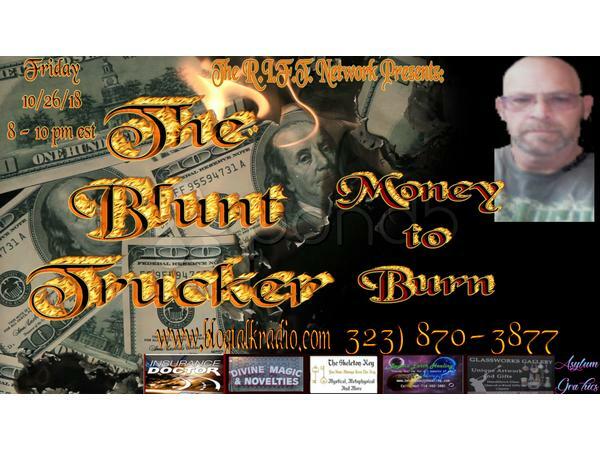 No one is the safe from the rants of The Blunt Trucker. He has an opinion on EVERYTHING!!!! That includes finances. Why do some seem to poop money, while others don't have a pot to pee in? Why do we have to pay out so much in taxes? Why does the government pay out so much to people who don't want to work hard? Why can't the governement give our tax dollars to someone who has fought for our country rather than someone who has several deadbeat baby daddies? Where do our tax dollars go, and why are we, as a nation, in so much debt? Listen in tonight as Chad and Lisa discuss and possibly debate these issues. Feel free to call in, make comments, ask questions, or just join in the debate at 323-870-3877.